This month at Papertrey Ink, it's all about staying in, getting cozy and getting crafty. We've showcased new products that give a nod to several hand crafts, such as embroidery, sewing, and counted cross stitch this week. Today, it is our great pleasure to focus on another timeless craft — the art of knitting. With fall in the air and winter fast approaching for many, we pull out our yarn, dust off our knitting needles and cozy up in front of the fire to create something beautiful and warm. Whether you love to knit yourself or have a knitter in your life that you'd love to create some paper-crafted items for, we've got you covered! Cards, gift tags, and even washing instructions for your precious hand-made items are easier than ever with today's product introductions! You'll be able to add that extra special touch to your hand-crafted gifts this holiday season! Knitting is a popular pastime and now you can integrate your love for the hobby into your paper crafting with this warm & cozy collection of images. With a large cable that can be used for backgrounds and borders, knitting needles in two sizes and even a few knitting projects, you will find many ways to use this set to create a homespun feeling. 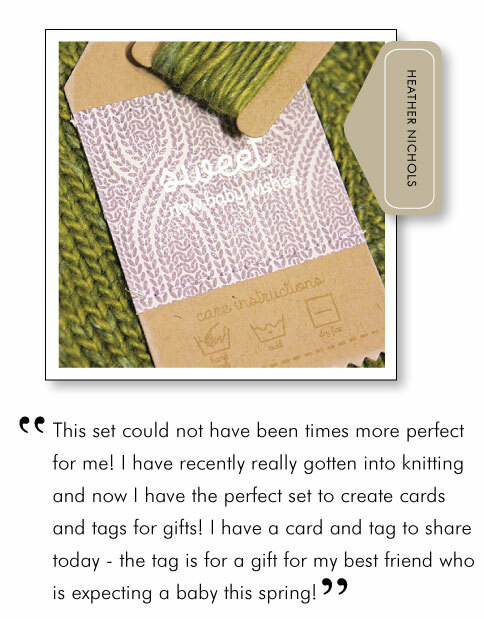 The handmade for you label is the perfect way to finish off a hand knit project or to add to the back of a card. Even more possibilities are created when pairing this set with the Purls of Wisdom sentiment set. Knit Bits will be available for purchase on November 15th. It will retail for $15. Knit Bits contains a total of 12 images. The cable border/background strip measures 5" x 3/4". The knitting block measures 1-1/2" x 2". The assembled sock image measures 1-5/8" x 1-1/8". The yarn ball measures 1/2" in diameter. The large knitting needle measures 2" x 1/8". The small knitting needle measures 1-1/4" x 1/16". This collection of "knit wit" sayings is the perfect companion for our Knit Bits stamp sets. With a sentiment for nearly every occasion, you will find yourself turning to this set again and again for a variety of projects. Purls of Wisdom will be available for purchase on November 15th. Purls of Wisdom contains a total of 20 images. "Wishing" measures 1-1/2" x 1/2". "Life" measures 5/8" x 1/2". "…you well as you tie the knot." measures 2" x 1/4". "…spent knitting is worth its weight in skeins of cashmere." measures 2-1/2" x 3/8". The small heart measures 1/4" x 3/8". You put a lot of love & effort into creating handmade wearables and now you can create special care instruction tags for the recipient to handle their garments with the appropriate guidelines. All of the symbols you need are here for you to compile customized care instructions for all of your creations, leading to years of wear by the blessed recipient. Handle With Care will be available for purchase on November 15th. It will retail for $5. Handle With Care contains a total of 26 images. The symbols each average about 1/4" x 3/8". Each "care instructions" measures about 1-1/8" x 1/8". "Made with love" measures 3/4" x 1/4". The Shape Up Series: Sweater die collection is a fun group of dies that can be used to turn the edge of a card front into a sweater. Complete with ribbed trim to layer at the edges to make it look more realistic! Shape Up Series: Sweater die collection will be available for purchase on November 15th. It will retail for $16. Now that I've made all of the formal introductions, let's get onto the projects! I decided to put the new Shape Up Series: Sweater die to good use first. I die-cut the shape from the front of a Winter Wisteria card base. I then added the cables on the front with Fresh Snow ink. After adding this pattern I was able to adhere all of the ribbed trim pieces, also die-cut from Winter Wisteria. For the sentiment strip, I stamped the script word in Spring Rain and the companion sentiment in Charcoal Palette. I then stamped little knit hearts onto Winter Wisteria & Spring Rain cardstocks and cut them out, accenting the end of the sentiment with them. Small Winter Wisteria buttons finish off the front ribbing, making this look like a cardigan sweater. I adhered some Blueberry Sky Striped paper to the interior of the card to help make the shaped front cover pop. This next project is clean & simple with just a few small finishing details that really take it up a notch. The knitting was stamped in Simply Chartreuse, with the knitting needles added last in Charcoal Palette ink. I then added the knotted string and the ball of yarn. The ball of yarn coincidentally coordinates with a 5/8" circle punch. I accented the left edge of the card with the cable border stamp in Soft Stone ink. The sentiment from Purls of Wisdom was added in the the lower right corner in True Black. Everything was adhered to a Smokey Shadow card base. For my last project today, I wanted to pair up elements in Knit Bits with Button Boutique to make a special card for a dear friend of mine. I stamped the rectangular frame from Button Boutique in Melon Berry then added the top and bottom sentiments in Classic Kraft. The socks are two-step images and I added those using Melon Berry & Fine Linen inks. The knitting needles were stamped in Classic Kraft. I edged the card with a bit of Tea Dye Duo and matted it with Melon Berry cardstock. The top is finished with a silk ribbon bow. I die-cut a few sizes of flowers and stamped them with the coordinating flower images from Beautiful Blooms II in Melon Berry. I then added buttons from Button Up & Button Boutique to the centers using Classic Kraft ink. I pierced holes for the buttons and added tiny stitches with Rustic Jute Button Twine. The leaves were die-cut from Fine Linen stripes paper using the Turning a New Leaf dies. The Classic Kraft card base was accented with cables stamped in Fresh Snow. Now that you have seen a few of my creations, here are some of the amazing things that the team has created! Another side note today I am afraid. Dawn McVey did not receive the stamps for this group challenge in time to participate. We will do a special focus on her projects a bit later on in the week. CLICK HERE to see more from Ashley Cannon Newell. CLICK HERE to see more from Betsy Veldman. CLICK HERE to see more from Cristina Kowalczyk. CLICK HERE to see more from Danielle Flanders. CLICK HERE to see more from Erin Lincoln. CLICK HERE to see more from Heather Nichols. CLICK HERE to see more from Jessica Witty. CLICK HERE to see more from Maile Belles. CLICK HERE to see more from Melissa Phillips. I hope you have enjoyed all these amazing creations that both the team and I have shared with you today! Are you just itching to pull out those knitting needles or a crochet hook and spend a cozy evening IN?! Perhaps you're feeling inspired to take a class or learn to knit online? Or are you adding some of today's new products to your wish list, so you can do a bit of paper crafting? We would love to hear your initial thoughts on everything we introduced! Please leave a comment on this post to tell us what you think of the new products and you will be eligible to win big! to spend however you choose! You have until 7am EST, November 15th to leave your comment and be eligible to win. Only one comment per person please. One randomly selected winner will be announced on our November Release Winners Page before noon EST the same day. Thank you for stopping by today and best of luck with the contest! CLICK HERE to see more from Lexi Daly. CLICK HERE to see more from Melissa Bickford. FINISHED SIZE: 5-1/2" x 4-1/4"
Wow that sweater die is just so cute. My mom has always been a knitter and has made me countless sweaters and afghans. It’s nice to see the knitting incorporated into the papercrafting. Great samples and I love the sentiment on the second card!! The DT really rocks this set; love all the projects. Can’t wait for the release. Thanks for the inspiration. The knitting sets are so fun! What a great concept that PTI has executed beautifully – as always! Wow! These sets are amazing! Beautiful. In Italy we use to say: “Una ne fai e cento ne pensi” (You do one thing and think about one hundred more). PTI design team is the same : alway amaze me with new, indredible, original and fun ideas. Omgosh this is super cute!!! Can’t wait to get mine!! These sets are tugging on my heart strings. I am a knitter and would love to create some tags and cards to give along with my hand knit items. Thanks for the chance! Wow!!! Fantastic projects love the knitting set . Love these samples from you and the design team. You never cease to amaze me. I did not have any interest in this set from the sneak peeks, but now I am thinking about it. Love them all, especially the sentiments that go with them. Hitting all my buttons! These sound like fun and cute stamps! Love the knitting theme and I love the Tangled chartreuse card! What an awesome round of DT projects! Endless creativity for sure. 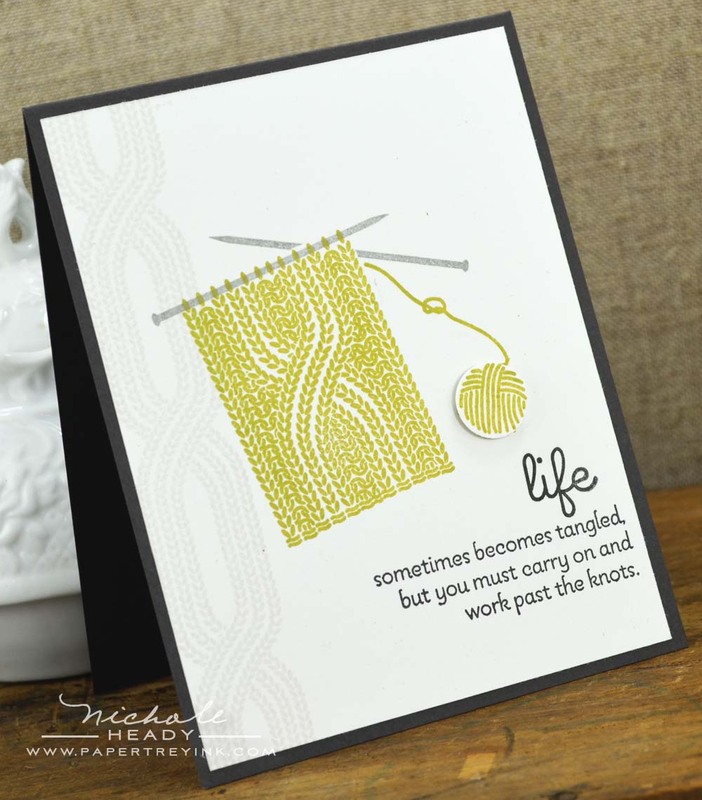 Love the cable knit image and that sweet sweater-shaped card template! The sweater shape up cards are so cute! What an awesome idea! Beautiful projects and some great ideas. I really like that a lot of these stamps look like they would be perfect for either giving with a knitted gift or giving to someone who creates a lot of knitted gifts! Lovely!! The projects today are over the top. I have a lot of knitters in my life and I can see some fabulous cards in their futures. WOnderful projects and great new products! Yes I think I’ll be adding each and every one of these products to my wish list! I started knitting last winter and am so excited that you’ve designed the perfect way to take gifting these handmade knits to the next level! This is just the sweetest release! LOVE the adorable projects – you make me want to get out some needles and start knitting! Love the knitting sets. Love all the projects even more. This will be a fun one to use! Love the shape up sweater die! It’s truly unique and your samples are inspiring. The combinations of cables, knit patterns and sentiments are fabulous! What a clever idea for a die. The projects are so nice with this set. Oh, wauw, the team has again created such amazing projects here!!! Looove these! Using the loops border to imitate actually knitting on the card is just perfect! Love all the new sets this month, it will be a total pleasure creating with them, for sure!!! What wonderful sets for the knitters and crocheters in your life! The projects are gorgeous as always-both Nichole’s and the design team’s. Very cool! So many fun new products! Wow! Something really unique, as usual, to help boost those creative powers. Thanks. Love the sweater. I think the knit wit will be a fun set to work with. oh my goodness! That sweater die is amazing! Love the card. The ‘knitted’ stamps all look fab. This entire release is so sweet and cozy. The design team did an awesome job as usual! Thanks for all the inspiration. Beautiful projects by all the contributors! I just love the sentiments associated with the Purls of Wisdom set. My sister-in-law is an avid knitter and I can’t wait to use these sets to make cards for her. I don’t knit or sew (yet) but these set have just pushed my “want to learn” over the edge! Everything is so cute!! Very fun! Although I don’t knit really, I think the washing instructions is a FANTASTIC idea! TFS looking forward to the release! Knitting makes me remember my grandmother. All of the team’s projects were adorable! Love Nichole’s card with the sweater! Wow! What fabulous projects! Makes me want to take up knitting again! Another fun collection celebrating crafting! I also knit from time to time. Mostly socks and scarves and the new stamps for this theme are great. What a great surprise to see the new sweater die! Love the Winter Wisteria sweater card! Shape it up Sweater! How inventive. This can be used for so many types of cards. The sweater die is so cute. I think that is the first shape-up die hat I absolutely “need”! I think it will make some really cute cards for my friend’s kids. These stamps and dies make me feel all warm and cozy! I’m just so tickled by the sweater die and how it looks with the stamping and buttons down the front! My MIL recently taught my daughter how to knit (I’m completely inept with two needles – one needle is what works best for me!) anyway, I’m sure they’d love to receive something I’d crafted with paper to celebrate what they’ve crafted with yarn! Thanks for sharing and inspiring!!! I have so many friends and family members who knit and crochet…these are perfect! This is super cute. When I first saw the teaser thinking this is one that I wouldn’t include on the list-WRONG AGAIN! That sweater set is just to cute – loving Melissa’s sweater, I would so buy that. What a great release-kudos to all. Love everything today! I enjoy knitting in the evening in front of the fire. gorgeous projects! Love this release esp! Every day I’m amazed at the projects! Love seeing what the whole team made with the new release this month. I don’t knit and I still love the cards! Great job! OH MY!! Never would of thought of a sweater die…but how cute is that?!! I don’t even knit but these products today are just too cute to resist! I wasn’t very pushed about the knitting stamps etc…..then I saw your cards! I haven’t moved on yet to the other girls but now this series of items is calling me. Love the sweater die, funny thing is, I had an Easter cardigan done in those colours with the cable stitch. Memories of my Mom knitting away are flooding back to me. Those are so neat! I’m loving all the knitting type stuff this year! Oh, yes, these are fabulous! Now all you need is a crochet set, and I’m completely sold! At first I wasn’t too excited about this month’s releases, but you have changed my mind! Oh Wow! These are so cute! Love the knit pattern. Just the perfect, cozy, homey feel. Cannot wait for the full reveal! OMG…todays sneak peak samples are just to stinkin cute. Makes me want to take up the knittling needles. I Love the sweater card! This die is amazing! The cutest thing ever! I love all the projects. I can wait to get them. Such sweet projects- I’m almost inclined to learn how to knit! These sets will be perfect for giving gifts, & are released @ the perfect time of the year! Thanks PTI! My friends who don’t quilt, knit, so this will today’s offerings are perfect. Love the Shape Up Series sweater die. Adorable. Love, love, love this new design. I have been a knitter for many years and this will be a perfect addition to that craft. Thanks! Oh my goodness…hope yu have alot of these in stock…putting them on my xmas wish list for the hubs…so dang cute!! What an innovative and completely fabulous month this is! I love all the new sets and can’t wait to play with them! I won’t be able to purchase until after Christmas, but my wish list has grown tremendously this month! Thanks for all the amazing inspiration! Love the socks and the sweater! Too cute! Super cute – love the sweater die set! This is so beautiful and creative!! Love these! Love that sweater! It is cutevwith all the details. I especially loved the “as you tie the knot” card! So clever! The sweater is such a sweet, homey element that could work for a variety of cards. Love this month’s knitting theme! I’m not even into knitting and yet I think that set is wonderful! I absolutely love all of your projects! What a clever and unique idea! Love the sweater die. The sweater die is truly one of a kind. Great idea! I really like the socks card, “perfect fit.” It is so cute. …just adorable. Looking forward to seeing all the designers projects, and release day! I just love your sweater card with the cable stitching. Another month of great inspiration! I love how this stamp set makes me think of staying warm on a winter day. The knitted stamp set looks so real…an amazing job! Another great month! I love to knit and I am blown away by your adorable cards. Nicely done. Just fabulous! I love the purls of wisdom sentiments and especially enjoyed the tags all of you designers made! Nicole, every day gets more wonderful. I adore these stamps and sentiments! 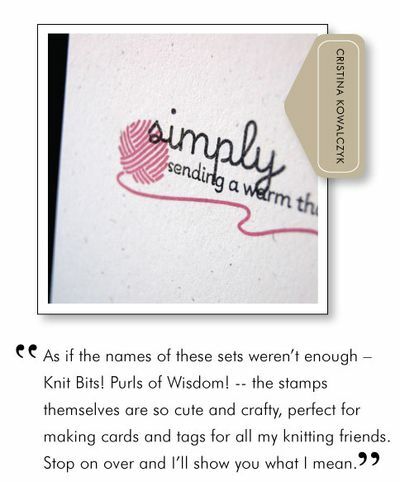 It’s so great to see knitting stamps!! Cool set…is there any chance you included crochet hooks in this set since I don’t knit but I do crochet! Wow!! These sets are so amazing!! I haven’t knit in many years, but today makes me want to sit in front of a cozy fire and knit, like I use to when I was a kid!! Such cute projects! I’m super excited to start making my own care labels for gifts! I am speechless!! This has to be the best release ever!!! The projects get better every day. I love the sweater die. My list is a mile long this month. WOW! It is so great to see such wonderful ideas! Reminds me of when I knitted my turtleneck sweater for my Senior HS photo. Fabulous samples from all of the design team–almost makes me want to learn to knit, VBG. Think I’ll stick to stamping. Wow! So beautiful and elegant. There are so many ways to use the “knitting” stamps, and that sweater is adorable. Just makes me want to snuggle up in my favorite sweater! These sets are wonderful and so on trend. I have two crafting buddies who are huge knitters and now I have the perfect stamps to make them some super cute tags for their creations. Beautiful projects ladies! Love the new shape up die! love these new “knit” projects!!! again, wonderful ideas for this month! can’t wait! These new sets are so warm and fuzzy (pun totally intended)! Beautiful projects with this new stamp set. I am really loving all the new products in this release. Thanks for all the inspiration. What cute projects this month. Great inspiration. Wonderful releases! All things I adore…stitching, knitting, stamping, texture, handmade! I don’t even knit, but I love the samples! The sweater is too cute! Love the sweater die cut. Too cute! What wonderful and unique products this month! For those of us who love products that coordinate with lots of other products, this month is a dream come true! It will be SO much fun to mix and match this month’s offerings! OMG, I love knit bits. Soo cute. Didn’t think I would need these. So wrong. LOVE them. Really fun projects by the designers! Sweet projects….just wish I could knit, everything looks so cozy! Love the knitting sentiments!!! Very cute projects. Another great example of why I love PTI! You are miles ahead of the competition when it come s to thinking outside the box. “Innovative” is the perfect word to describe these products, and this sweater ensemble is like nothing else available on the market. Great Shape-up sweater die and all of the accessories to make fantastic projects! Your DT is amazing and so is your work!! What intricate designs and realistic designs! The sentiments are great for non-knitters, too. You all are just too clever! I have not seen anything out there like this! Adorable. That cable background strip is just fantastic! Lovely projects on all the blogs. What a unique set of stamps and dies. Perfect for anyone who knits or just for making fun winter cards. What a great group post today. Loving all the knitting images and sentiments. Off to make my shopping list!! How very unique this new release is! Lovely, can’t wait to see everything! I wasn’t expecting to like this set, because I don’t knit, but your projects Nichole, and the rest of the DTs have me convinced that I should learn! LOL! Love them all! What inspiring cards today from you and the team – I can’t wait to get creating with these sets! I didn’t think I’d be into today’s sets; but boy are those sweater cards so cute made up!! Really unique stamp and die set there! Thanks for all the great ideas again! All of these new products make me so happy. I’m in the process now of knitting Christmas gifts. Knitting is so special to me. Knitting reminds me of family and the important things in life. Thank you, can’t wait for release! Great projects . . . makes me want to learn to knit! I am SUPER excited about this months release! Summed up in a word – Cozy! Can’t wait to order! I think WOW is an understatement !!!! What truly unique and inspiring sets, perfect for sharing so many of the hobbies we love. WOW…….. I really like all the stitching sets and dies this month. So creative! Awesome sets!! Can’t wait to see them all!! This set is what I’ve been waiting for. I love it all, especially the sweater die, and care instruction wee stamps. I’m not a knitter but I love yarn crafts, so I’m excited about the witty sentiments to pair with crochet or thread projects – and those sweater cards are completely adorable! I love how the Winter Wisteria sweater card looks! So cool! The idea of a warm sweater is very nice this morning, as it is 25 degrees F outside! The DT did a wonderful job, and thanks for the chance to win a great gift certificate. Wow! These sets make me want to take up knitting. The sentiments in Purls of Wisdom are just too cute! The sweater die and the card made with it are outstanding! 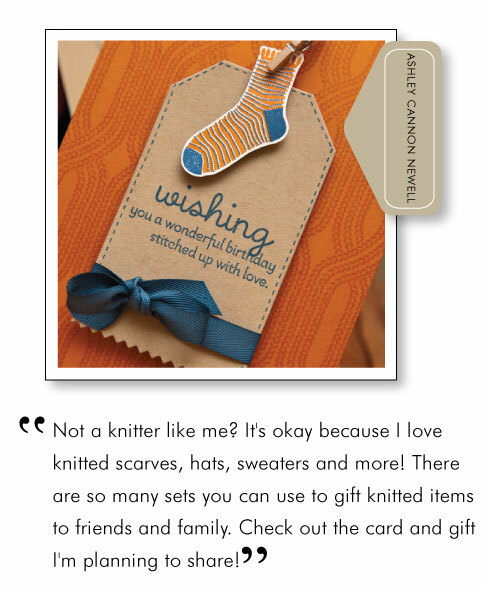 I’m pretty sure all of this is going into my cart…..
What beautiful knitting themed cards! I do not knit, but can still appreciate these cards! Wow, such a interesting new sets of stamps and dies. Love all the cozy knitting stuff! This is all so perfect for winter! I love the uniqueness of this release! and so many different inspiring ideas! This is all so awesome. I can’t wait to see the whole set. I absolutely love all of the knitting related items this month. They give such a warm & cozy feel to things. Just perfect for the winter months! What a clever die! The Shape Up series is always so fun! Thank you for the inspiration. Love the new Shape Up Series Sweater–how cute is that!! Wonderful new sets and dies! 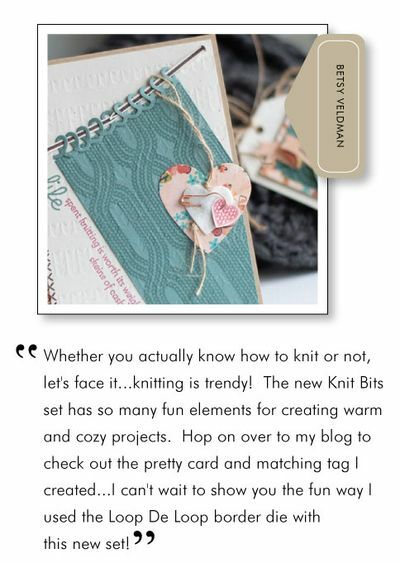 I love the cards that you created with Knit Bits, especially the sweater card! Love the sweater die…so cute!! My favorites are the poppers and the sweater die!! Yummy Yummy!!! What a fun set! The samples are so very inspiring this morning. Thanks for offering the great prize!! Stamping a nice warm sweater, how cute is that! I could use that right now! Tomorrow is the day! Can’t wait to see all the goodies. Cute, Cute, Cute!!!! Loving the theme this month! Such cute projects… all of them!! Thanks PTI for continuing to amaze us with your creations. What an amazing release!! You have the most unique sets ever!! And great projects (as always)!!!!!! Man I wish I knew how to knit and crochet! I really like your CAS ‘sometimes life becomes tangled…’ card, the elegant simplicity of it makes me really want this set! WOW, I’m blown away and I’m totally loving the new shape up sweater die. Your first card is absolutely beautiful Nichole. Love the new knitting set! How fun! The sweater die is adorable! So clever! What a perfect finish to the release countdown. That sweater is beyond adorable! I love the knitting set, too. My mom is a knitter so I’ll have tons of uses for this set but it kind of makes me want to learn to knit so I can feel more authentic while making cards with this set! ;-). Thanks (I think) for always being a source of inspiration! Oh my gosh! These are the cutest stamps ever! I honestly want to learn how to knit right now! I absolutely love the shape up sweater and with the cableknit borders, it makes the sweetest card I have ever seen! wonderfully cosy cards. I do love knitted clothes. It’s not something my family ever did and I think it’s one of those traditions you pass on. Great idea and beautiful delivery. I love how everything coordinates together in the release ans with your older products as well. This set of stamps and dies is SO innovative! I have never seen a “sweater” card, and since I do knit, and have friends and relatives who also knit, I know I will use this set over and over! Love that sweater die!!! So much fun! I’m not a knitter, but I still love the cable design. You always use this Charcoal Palette ink, but don’t know where it can be purchased. I’d like to see PTI come up with an ink to take the place of this Charcoal one. Thanks for all the inspiration. I love these sets and what wonderful inspiring cards. I really like the look of the cable…. Today’s samples are so perfect, it is a chilly morning here in Mesa, AZ. Everything looks so pretty and cozy. Even though I am not a knitter, I can still see a ton of uses with the new release! These sets are amazing!! LOVE this release!!!!! Seriously adorable. I just love the whole sweater idea. This month is amazing………lots of homemade theme which is my favourite, my wish list is now unprecedently long ! The knitted socks are so cute and the lavender sweater is beautiful. I can think of some special projects I could make with these sets for the knitters in my family!! Great sets! I love how many of the sets this release can be used together…not good for my wallet though. Wonderful samples made by the design team as well. Love them all!! Your samples are inspiring!! my mother loves knitting and i think she would be jealous of the beauty and perfection these stamps and dies can achieve! This is amazing! I just love this set, and it’s going to be really hard to decide this month….! Such lovely projects from all of the DT’s. Love them. I don’t no where to begin. I’m going crazy over every single product. I think the sweater is the cutest thing out! I love the cables and needles and the the DT projects are just amazing! Wow! Oh Knit Bits and the Sweater die is so cool! I think you and your design team have really shown how gorgeous and fun they will be to use! Oh… SO many beautiful projects/cards! LOVE the sweater die…. adorable! These are going to make great tags and cards for my Mum especially – she is the great family knitter! I don’t knit but I would still totally use these! Love the sweater die set. Beyond fun!! Love the knitting theme!! Love all the new creations with the new stamps and dies…your design team is so incredible with such varied styles! Just adore it all!! Great stamps and sentiments! Everyone did a great job making things to inspire us. 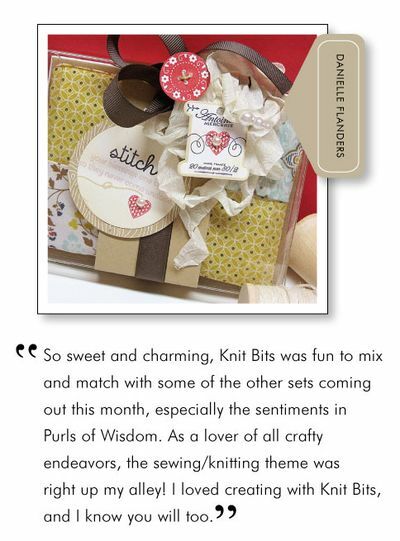 I love the knit bits and purls of wisdom – what a beautiful set! WOW! I am passionate about knitting and stamping so when I saw the peek of a knitting set(s), I was very excited. I am completely over the top after seeing today’s post. I can’t wait to have these sets and the sweater die! Another great day..love all the knitting it reminds me of my great grandma. She tried to teach me to knit..haha..her hands were going so fast I couldn’t keep up. All the products are just great for all of us that love to knit! And I just love how you used them. My free time is divided between stamping and knitting. This set is PERFECT! Now I can combine both! Many thanks! How fun! You’re hitting all the needle arts! Does that mean we may see some new quilting designs to add to the others? Keeping my fingers crossed! Those sweater cards are just precious with the buttons down the front! All the projects are great and show the versatility of the stamp set! Oh.my.goodness. Love this! You and your team continue to amaze us with all your wonderful, creative ideas – thanks! I am loving this new group post of stamps today! I am a knitter and these sets are just what I need for the many baby sweater gifts I give. Thanks so much Papertrey Ink! I just love all of the sewing, cross stitch & knitting stamps and dies you have included in this new release! They are all so sweet! The projects are amazing as well! I wish I had them all!! Can’t wait to get my hand on these knitting sets! Perfect!!! The sweater die collection is so cool! It reminds me of the classic cardigan sweaters (with grosgrain ribbon) that I wore when I was a kid. I still love them. How fun! Yesterday you made me want to get out my needles and floss and today I want to dust off my knitting needles and yarn. 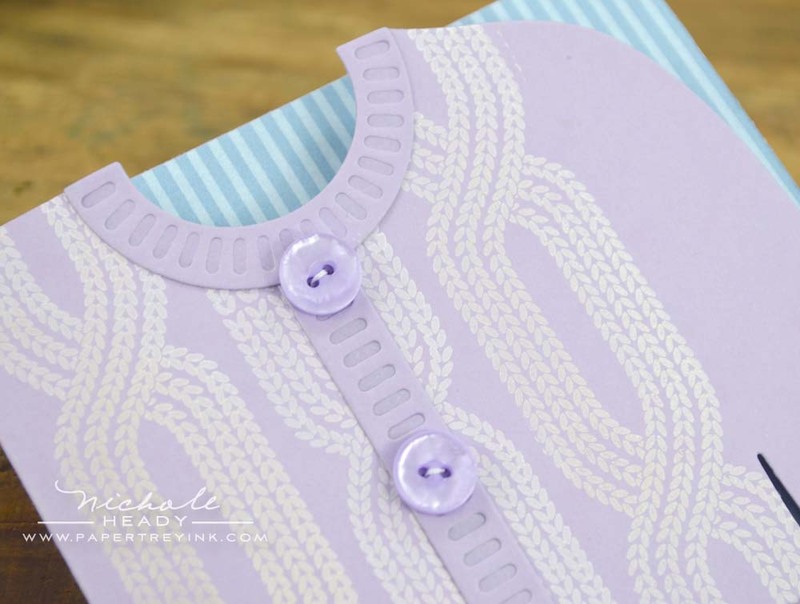 Love the cards/projects today…the loops border is the perfect addition on Betsy’s card. You gals are so inspiring! This is one thing I want to learn! (knitting) love the loops and as you tie the knot saying!! You have the MOST amazing design team! I’ve been soaking up the inspiration. Love all your projects Nichole. How fun! Love the knitting sets. You always have the most clever and cutest releases! Love the sweater, darling! I love to knit! This set will be perfect! Thanks so much! I don’t even knit and I love this set!!! I’m going to join a knitting group that makes baby blankets for the local hospitals and I can see many uses for this in the future. I love this set, it’s different, nicely done and looks like so much fun to use. I am a brand new knitter! I am super excited about this set. How much fun to make tags for care of gifts and that just indicate homemade! OH my these are so cute!! Wow! So many stitched beauties this month! These knit stamps and dies are awesome! Can’t wait to play with them. And Melissa’s pink sweater and tag are the cutest things ever! Love the sweater die & the knitting stamps that work with it! Very cute ideas! WOW!!!! Over the top today with those gorgeous projects. Now I want to curl up with a basket of yarn and needles and KNIT! And I haven’t done that since I was a kid! I just feel so warm and cozy. What fun! The gasping was out of control just now as I looked at all these amazing cards – WOW!!! These stamps and accessories are so original and fantastic! The new shape up sweater die is so clever! Love how cozy the projects were today! oh, my! That new sweater die is out of this world! LOve all the knitting projects! What a unique idea! Wow, great projects. That sweater die is awesome! *swoon* I’m in love! Knitting/crochet is something I def don’t get enough time to do but is a hobby that is dear to my heart! Love all these projects, today! The sweater die is too cute! The projects, stamps, and dies today are just amazing. This is a must have! I just learned to knit a year ago and I am ready to give some crafty gifts! Love the knitting sets, especially the sweater die. Another innovative idea for stamping! You guys are outdoing yourselves every day. Beautiful cards!I can think of several friends who NEED knitting cards (hee, hee)! Oh my gosh! I’m not a knitter but I love todays preview! Another fantastic release! Oh my! How adorable and so very punny! My husband has been pushing me to learn how to knit… maybe this will give me the push/shove needed to go sign up for a class!! What a sweet [and cozy] set! Love the extra touch of the impression dies for the seams. Lovely peeks, the knitting stamp is adorable and I love how the needle can be stamped on top, so realistic looking, but that’s what we come to expect from PTI, great cards! I just loved everyone’s projects. The knit pattern and sweater die are adorable! Loving the cable knit! What a great pattern and so versatile…and I love the size, great for scrapbooking too! What is not to love?? That cable is the best and I am not a knitter but love the sayings in Purls of Wisdom. Wow! Did not see that sweater coming, and I cannot wait to get my hands on it! It’s perfect!!! I am so excited about all the new products today. 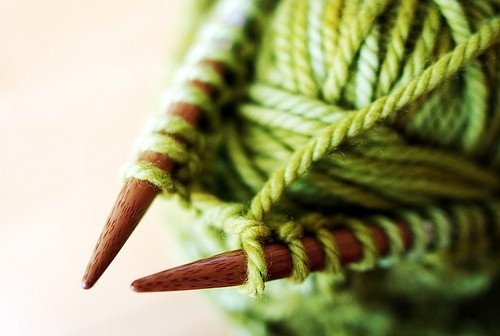 I haven’t knit in ages, but now want to pull out my needles and yarn and get started. Love the sweater die and stamps. Oh my – so much knitting goodness! Love all these themed sets this release! Wow! Lots of neat images and dies. Love all the details and different pieces. So unique! You and the design team create the most beautiful pieces of art….i am in awe of your talent. What a great release!! Wow great ideas for knitting cards. You make me want to get out some needles and start knitting, tks for the great inspiration. I love the sweater designs. So sweet. I may have to learn to knit now!! Beautiful projects!! Love the boldness of the cable – makes for a fun background! I love all of the new designs. They make me feel warm and fuzzy. Great job ladies! Such cozy fun this release. Love the knitting theme! You guys at Papertrey Ink always come up with new amazing products!! The projects are great too!! So many fun releases this month. Somebody please volunteer to tie my hands behind my back so I cannot type my order tomeorrow……on the other hand it is such a awesome release I think I would probably manage to type with my nose!!!! Such great and inspiring ideas. The sweater die set is awesome! The knit bit set is soo adorable. I wasn’t quite feeling the cable stamp set until I saw what the designers did with it – and now I love it. What a perfect ending for this month’s themed release! Love the sentiments included in these sets! Wow! I’m blown away today…did not expect to fall in love with this set. Loving the sweater die too – very fun! LOVE! As a knitter myself these sets would be so perfect for gift giving. Definitely zooming to the top of my wishlist. Love!! My daughter is a huge knitter and decided to make knitted gifts for the these sets for the gift tags and to scrapbook her knitting love! Awesome projects! The knitting set is charming, but then the sweater Shape Up die, with ribbing…amazing! The creativity of Nichole and the DT is just astounding! You have brought to life all the other crafts we women do…sewing, needle crafting, knitting…these are absolutely AWESOME stamps. thank you for thinking of all that we do and putting into a form we can use over and over and send out to cheer up people! Fun stuff! Looking forward to the release. Love all the everyday type of items that you are showcasing this month. All of these knitting images are just adorable. Can’t wait to get some. That’s amazing – how much the Knit Bits stamp looks like the actual knitting stitches! 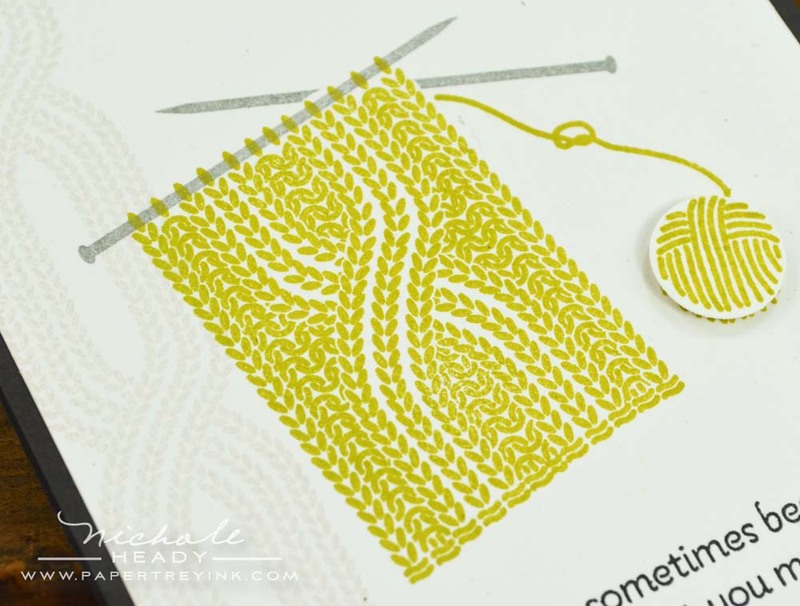 Using the loop-border to imitate knitting on the card is a really cool idea! I’m so in love with the sweater die! Words cannot express how amazing it is! Those little socks are just way too cute…love them!!! I just learned to crochet last year, and I absolutely love it!! Thank you for addressing another beloved hobby with your exciting stamps. The DT really knocked it out of the park – Jess’s tie the knot and Melissa’s sweet sweet sweater have me swooning. And apparently I REALLY need to learn how to knit, it may be just the winter project for me. These stamps and dies are so cute and fun! Absolutely love them!! I am CONSTANTLY amazed by what you come up with! Your sweater card is amazing & I absolutely love the sock card! You always inspire me! The coolest most original release I’ve seen in a long time. Way to raise the bar! Every time I think that no one could possibly come up with any new ideas, you wow me with your wonderful designs. I especially like designs relating to the fiber arts — sewing, crocheting, knitting, counted cross stitch… Thank you Paper Trey Ink and all you fabulous designers! These sets are darling! I LOVE sweaters! I don’t knit but this set is so much fun. Especially love the sweater die. What fun project you can create with this die. Thanks for all the inspiration. What an awesome stamps and die set! It will be a difficult choice on what to order with all these fun designs. Thanks again for so much inspiration. wonderful projects everyone. Knit bits caught my eye! All great ideas but especially love the care instruction stamps! Aren’t those balls of yarn just too cute? I love the needle craft theme and all the beautiful projects from the ever so talented design team. Thanks for sharing! Oh my goodness gracious, I am so excited about everything single items in this release!!! The sweater die, the knitting pattern, the über cute socks… WOW!! Your samples are amazing as well. Fantastic new products!! TFS! What sweet samples for the new products. Great inspiration! Love the theme this month, there are so many goodies I must have! I can see so many possibilities for the ShapeUp Series sweater die, can’t wait to get that. Along with many, many other things this month! Love all the projects. Everything looks so warm, cozy and inviting! Thanks Papertrey! Sweet products today! I love how you put them to use. SO excited about these crafty creations! I just received a hand-knit head warmer from my sister in the mail. I need these stamps to make a proper thank you! I love the sweater! My Nana taught me to knit when I was young, but never mastered the cable stitch — this is much easier! You’ve certainly outdone yourselves this month. I am just crazy for the sweater and buttons. Can’t wait to start using them. these sets are perfect for me, i’m a knitter and i make a lot of scarves for gifts. also, the sweater die card is adorable!!! thanks. When I saw the sneak peeks of this I thought it would be something I’d not be interested in as I’m not a knitter, but after seeing the cards from you and the design team I am rethinking that. 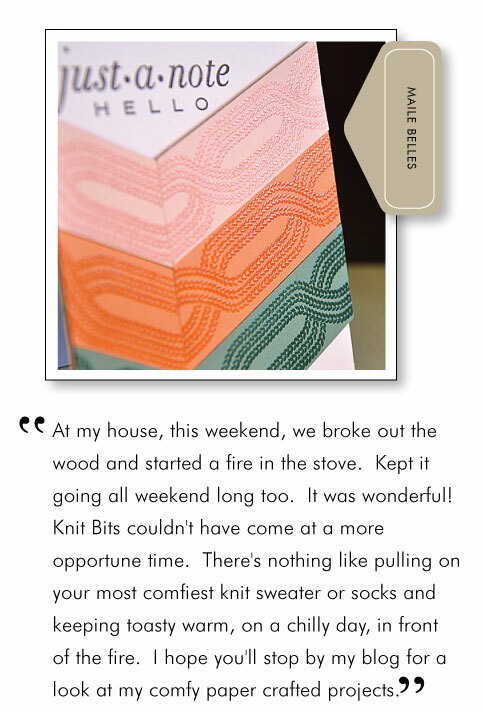 That sweater die is just so adorable – loved the card you made and also that amazing gal Melissa Phillips. What an amazing week of awesome stitching products. I love the sweater die and the cable stamp. All of the projects are amazing and my wish list for this month is so long. I think I have added just about every stamp and die introduced this week to my list. OMG! This set is soo unique! How cute is that sweater die..it would be soo much fun to decorate! Thanks for the opportunity to win! They are all brilliant… and it’s so amazing how the dt whipped up a knitted gift for this release! Loving all the warm and cozy projects! The shape-up sweater is adorable and so are the other sets. Knitting has become so popular…but where do we find time to do that and stamp? Hmmm, guess I’ll give it my best shot. What another fabulous release, PTI! So cute, so warm, so unique, makes me want to learn how to knit!!! Amazing! Just love all the knitting projects, they are too cute. Also loving all of Lexi’s ideas, she is so clever. Did not see that coming…the sweater die is “over the top” cute! The projects are great, thanks designers. Love the Coziness the images convey! Each month I am pleasantly surprised to see what new and innovative stamps and dies you at Papertrey come up with. This month is no exception! What a darling idea! This sweater set hits me on many levels! I feel cozy, I feel inspired to knit, I feel nostalgia! I just feel good, and I love this set! Thanks for thinking up another winner! 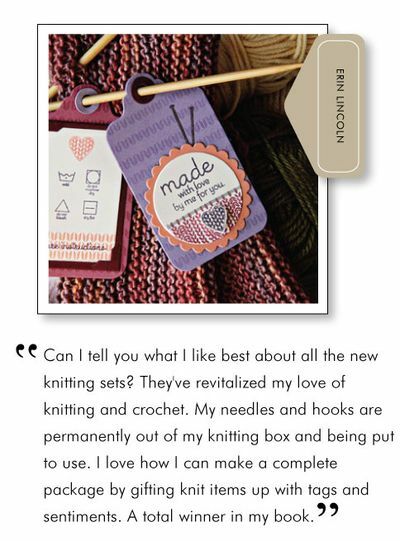 You’ve combined my two loves – knitting and papercrafting – and I’m thrilled beyond measure with the release this month! I don’t knit (yet) but I LOVE this set!! And the sweater die – how fun!! I knit and cross stitch. I love all of this stuff that goes with that. I have pictures that this will work perfect with. Gorgeous samples! Love the homely feel. OMG…If I can’t buy anything else from the release, I want that sweater die. These are so cute, I can’t wait to get my hands on the knit bits and purls of wisdom. Another great release. Who, besides you, knew that stamps about knitting could be so versatile? Amazing. EEK! That sweater die is ADORABLE. I must have it! I can’t wait to make cards with it. My hair stylist knits. I think a bunch of cute tags with care instructions on them would be a good Christmas present for her. Wow super cute release, my Mom knits and I know she would just love these dies (for Christmas gift :). I’m always amazed at how well you are able to bring your concepts to life! All of the new sets are just genius and the new Knit Bits set looks so realistic! I adore all of the DT projects and am feeling very inspired! Oh my, I am in trouble this month, what wonderful stamp sets and fabulous ideas! I’m buying the knitting stamp sets first, then I’ll learn to knit…PRIORITIES! I have so many friends who knit and crochet! What a great release for me to have the perfect cards to send them! I’m loving that sweater die and stamp set. Brilliant idea! Oh soo excited about the new shape up series die! The DT really created some amazing projects! Thank you for all the wonderful inspiration! Your designers are a bunch of brilliant people!! I’m am awestruck with these new stamps & dies. What a warm and cozy collection from the DT!! I love the sentiment about life becoming tangled…so true! Beautiful projects today. The DT has outdone themselves this time. What creative uses of the new products. Love the cardigan die. Fabulous projects as usual! I love the knitted texture you created. And it was nice to see Beautiful Blooms II again! I have that set and always look for new ways t use it! The sweater is so adorable! Once again you and your team have knocked it out of the park! WOW! Every day brings so many wonderful new ideas. Love this knit set and all the projects. Amazing ideas. I can hardly wait for the 15th. I love knitting and crocheting! I have started to make these kinds of gifts for friends and family and these new products would be absolutely PERFECT in creating tags and cards to accompany my knitted presents! I’m super excited about these! I am finally back on line after Hurricane Sandy and what a fabulous day to come back. I have been knitting since I am a teen (which, unfortunately, was a long time ago). I love the cable pattern and sweater template created for this release. Truly, unique eye-candy. Amazing sample cards from DT. Looking at these cards makes me feel warm and cozy. I don’t think any other stamp and die designer has come up with such clever and fresh designs as you have this time! Knitting is not one of my hobby’s, but I have friends who are big-time knitters. These sets of stamps and dies would make such fabulous cards and tags to create for them ~ maybe even as a ‘set of note cards’ for their birthday and Christmas gifts! :o) Thanks Nicole and DT for today’s inspiration…love all of your beautiful projects! so many wonderful stitching inspired projects! LOVE them! these projects make me want to pull on a sweater, so cozy! Very unique die set and beautiful cards. Looking forward to seeing what the team has done. This set is just what I need to make tags for handknit gifts. I love, love, love the cable sweater card! You make me want to start knitting again. I love the sweater die, I love it all. I love the Knit Bits it is such an unique stamp set!! I love the little loops of yarn on the projects and the tiny needles that go along with them! I can’t wait to see the full range of sentiments in these sets. Wow I love that sweater die!! I am a knitter and a card maker and I have trouble deciding which I will do when I have free time – I love both of these crafts! I can see using the argyle stamp set with the sweater die for a masculine card!! The sweater card…..stunned by awesomeness. Nuff said. So stinkin’ cute! What fun!!! What a gorgeous sweater die. Love all the projects and feel inspired to get out some needles myself! Wow! Today’s projects were amazing. I love all the sewing and knitting sets. Wow, so many great goodies. BEAUTIFUL projects!! AS always Nicole and DT you have out done yourselves.. so INSPIRING!!! Wow, I am totally loving all the new stamp and die sets! My biggest hobby besides cardmaking is knitting and crocheting, so I have fallen in love! Can you just take my money now? These are awesome! Awesome projects and products!!! I see sooooo many possibilities and use for soooooo many ladies in my life, who will be thrilled to get a card with knitting details! thank you!!! The sweet little sweater cards are amazing and love that background set too! Knitting is my relaxing hobby so these are right up my alley! When I knit, I get lost in the repetitiveness and just calm down. Thank you so much for all the great new products! Holy moly, I didn’t even know until now how much I NEEDED a knitting-themed set! 🙂 Love it all, everything is super-cute! I never would have thought about knitting images for stamps and dies – but these are the cutest examples. And with winter fast approaching they’re perfect for the season. The new shape up series sweater set is so darn cute! What a great idea. Love the whole knitting theme and the card for your friend is fabulous! Gorgeous! LOVE the sweater shaped card, it looks so real! True homespun inspiration today. Love the theme and all the ideas on how to use them! The sweater and cuff die cut are so very cute, love those knitting yard images too! Purls of Wisdom is a real gem! Love all the new designs this time-thanks! I’m knitting several presents this year, and these new stamps and dies will make the perfect tags to accompany the gifts. The knit images are great, but I would love to see a crochet-themed set that I could use with gifts I make and prayer shawls I give at church. The knitting sets are so cute!! All these projects makes me want to get out my knitting. Thanks so much for the inspiration. The new Shape Up Series Sweater die is so cute! You always make sure everything has all the details. Creative to the max! Great inspirations for ways to use these new sets! Beautiful cards and tags, ladies! I’ve been waiting along time for classy stamps for knitters. Thank you for absolutely making my day! Oh boy, Nichole, you and the DT hit it out of the park with all the wonderful stamps, dies, and fabulous designs! I’m over the moon with everything I’ve seen today. I can’t wait until it all shows up at my door! These are DEFINITELY going in my shopping basket at the release! I’m a die-hard knitter too, and these are PERFECT!! Wonderful job!! The die is so cute! Another great release! Can’t wait for tomorrow to see the whole reveal and get an order in. I’m taking my first knitting class this Saturday. What great timing. Thanks! Gosh I don’t even knit and I want this set. Finally a set that combines my two favorite crafts! If I’m not stamping, you will find me knitting! I love it! I was still wow-ing over that lilac sweater as I scrolled down the post, only to be totally amazed by Melissa’s gorgeous pink number. What an amazing idea. Love the kitting set. So cute. What great projects today! I’ve got to learn to knit – quickly. What a lovely set. The DT projects are great! Clever new stamp sets and matching dies, and fantastic projects to display so many ways to use these products! I love the cute sentiments, they are perfect to use for multiple occasions. Ooohhh such a beautiful projects once again don’t know which I like the most. That knitting theme is great. The design team projects are so great! Love all the very creative projects today! The new sets and dies are very clever and different. You gals think of everything—-even the care instructions. I am especially loving the shape it sweater die! Really? A sweater die, too? I’m so sunk….I don’t even knit, but I might have to so I can utilize all these amazing new products! Truly AWEsome! Oh wow! This is the best day yet! I just love the knitting images, and I’m looking forward to seeing the full set of sentiments. The stamp sets are awesome. I can’t believe that those are stamped images. Today’s post makes me wish I was a knitter! Such clever ideas….looking forward to tomorrow to see everything revealed. Oh, how fun! These are great!! Such great new stamps and dies! Can’t wait to play! What a cute set, perfect for your friends that are crafters. They are sure to be Wowed! I think it would be quite comforting to knit. However, with my stamping, I don’t need another hobby! I could incorporate these new stamps though! I love the textures you are showcasing today! super duper cute! Love the sweater. Great idea!! Ohhh beautiful cards!LOVE your sewing/knitting theme! There are going to be some happy knitters out there! What a cute set! And the DT projects are just terrific! WOW~ What a great idea. This is perfect for both me and for stuffing the stockings of the knitters in my life!! Thanks so much. I really love the sentiments in the sets. The font is so sweet, too. Really love the combo! Lots of inspiration today. Thanks for sharing! I love all of the projects – so so cute and clever! You ladies did an awesome job! Such a warm and cozy bunch of sneak peeks today! That sweater die is just too cute!! Awesome bunch of projects. I am just so in love with the sweater die. When I saw the die introduced I didn’t think I wanted it but then the cards were too cute to resist so I “need” it. Beautiful projects with some wonderful inspiration as usual! love the beautiful and subtle patterns. Your work on all these projects is spectacular. The new release is so perfect for this time of the year. I’m so looking forward to getting my pudgy little fingers on them. Fabulous release, once again! Love all of the needlework types represented here!! Such great projects from the design team! Love all the projects – I think all of these sets/dies will have to be added to my collection! More adorable sets with so much beautiful inspiration from the team. I love a good pun & you’ve put together some great ones in the “purls of wisdom” set! Love the additional knitting stamps and the dies are incredible!!!!!!!! As a knitter, crocheter, and cross-stitcher, I love,love these new sets. There is so much detail to these sets. I can see making many cards for my family and friends who share my passion for these crafts as well. Oh my goodness! I love to knit (including socks) so these are absolutely perfect for me – and several friends! Thanks for making these! knitting is my first love (craft-wise). i absolutely will have to get this!!!! Wow, the fun continues today! 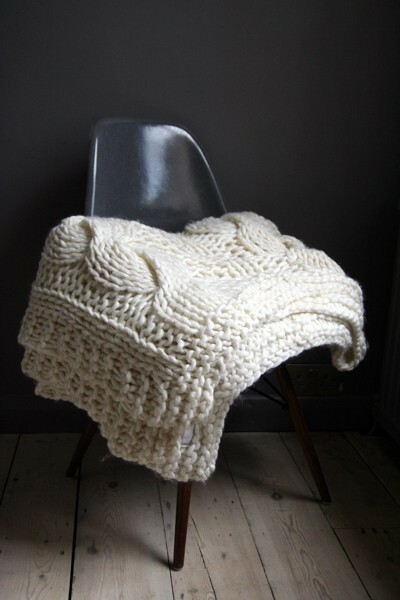 Love all the knitting-inspired projects – such great ideas! Oh my! The creativity of this company and the DT is never ending and amazing. Love it! Definitely a very warm and cozy feel to today’s post. Excellent projects by the whole design team. Thanks for the chance once again. Did I ever imagine that I needed a sweater-shaped card die?!! No, but I sure do need (and want) it now! I would love to make some cards using the Shape Up Series Sweater! So much fun and so different! The shape up sweater is a genius idea! Yay!!! I’ve been waiting ever so patiently since the sneek peeks to see what the knitting stamps would consist of, and I am over the moon by what I have seen. Especially the care instructions. I’m an avid knitter and can’t wait to see the full reveal. What a fun and fresh concept! Love the knot card – truly a great sentiment! I’m loving the homespun theme of this release! Hope to use some of these sets for some really cute cards! That sweater die is adorable! I love it!!!!! Wow,such a warm cozy feel to this month’s release with all the knitting and stitching for cooler weather. LOVE this release such gorgeous cards and projects..I will have to order this month so my thing these stamps….loved all the inspiration..thank you all so much for this wonderful release! I HAVE to have that sweater die. PERFECT! love the knit wit and knitting stamps. They are just to die for. Thanks so much for all the creativity you put into your stamps and products. Oh my heck, I am a knitter, and you had me giggling with glee all through these posts! I absolutely love all these products – so much fun. Can’t wait to play with these goodies! Thanks so much for all the lovely inspiration this week. All the reveals are so great. Can’t wait to own them! I’m a knitter so this set sure would be perfect for me! What a terrific concept – love it! Thanks for the opportunity ! I WANT IT ALL! I am a knitter and stitcher–and my list grows every day. This release is awesome! How incredibly creative. I love that sweater die. Oh my. And I have several knitting friends. Wow. OMG, I love your sweater card! That is the cutest thing I’ve seen in a long time. I love kitting and I love these stamps. Wonderful idea. Oh my gosh! Is that sweater die the cutest thing ever. What a great combination of stamps. You are too clever & creative. Thanks so much. OMG! This time PTI and the DT have come up with the best of the BEST-EST collection EVER! To actually get the look of knitting was a very, ingenious idea that PTI has come up with! This collection is to die for. Thx for the chance! Oh how cute is this new stuff!! Fabulous! OH!!! What great new sets! And I love all the cards you and the team made! Can’t wait to see all of them tomorrow! LOVE the knitting stamps and the new diecuts! Oh, my! I never learned to knit (I’m left handed). But, I have friends who have that skill. These cards are for them. What a wonderful treat to make a card with these images & sentiment, for them. Oh my gosh, what cute projects from everyone today! Love the sweater die with the stamped cables, love Betsy’s use of the loop-de-loop die, love the CAS projects–so much cozy cuteness! I don’t even knit and I STILL want eveything released today!! Love every single item, and your beautiful projects!! Love the sweater concept, but it’s really odd without the other shoulder. LOL I’m an asymetrical kind of girl. The knitted stockings are fun, especially paired with the button card. and leave it to Betsy to use the loopy die as the top of a knit piece in progress. I’m so happy to get her blog projects in my email box. Love all of the inspiration from the rest of the design team. Thanks Ladies. Such awesome, unique products – love them all! Just so so cute! Yes, it does make be want to snuggle in and do some crafting! Since my yarn skills are lacking, I will be more than happy to paper craft. I haven’t learned knitting yet, but this set is TOO CUTE! It is just precious! And I love the sweater die! Love the knitted sweater die – that will come in very handy! I know what my wife wants for X-mas…anything from the new releases! Wow! These new knitting stamps are amazing. Especially perfect for the knitter in the family. Thanks ladies of Papertrey. 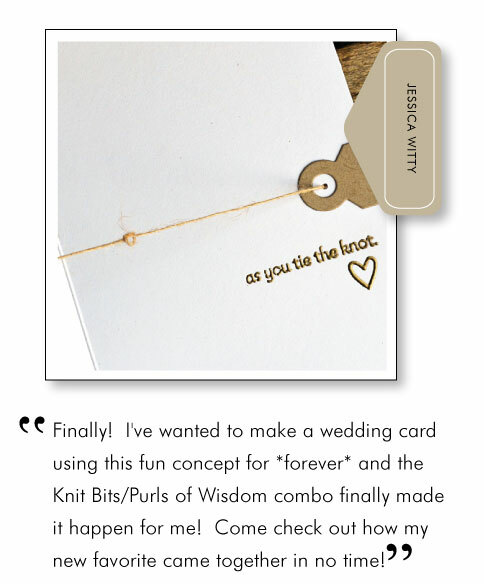 Jessica Witty’s “tie the knot card” — OMG! Wow that sweater is awesome! How do you people come up with this stuff? Genius!! Love, love, love it! Wow! Super ideas, super sets, super release!!! Thanks to all. What talent! The shape-up sweater is so…….cute!What a clever idea! Love the sweater die and also the card with the socks, so cute!!! I just love them. Can’t wait until I get them. More great projects! I especially like the sweater die and stamps. I am amazed at the beauty, detail and creativity of the knitting release. PTI never ceases to amaze! I´m stunned over every single thing. Good job design team! 🙂 Love the stitched theme a lot. Positively surprised. First I didn’t think this where for me but I like it a lot! I’m ecstatic! Knitting, sewing and to stamp them too! I’m counting the hours ’til the release. Thank you team – beautiful cards and wonderful ideas. What a darling set. I’m not a knitter nor do I have anyone in my life who knits, but I’m seriously thinking about ordering this anyway. It’s too cute to pass up! How gorgeous are the knitting stamps! Personally, I do not knit but there are so many people that I know that do knit. They would be thrilled to receive a card/project featuring these latest products! Wasn’t sure about these sets when I first heard about them, but the more I see, the more I love! Love the knitting stamps, can’t wait! How wonderful! I love the knitted socks and sweater! It is the perfect set for many friends and family that do this hobby! Makes me wish I’d made the effort to learn to knit from my mum! I’m impressed with the way that the stamps sets work well together- knitting, stitching and embroidery! Super cute cards and projects. 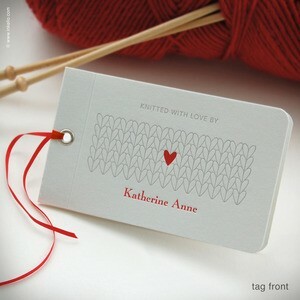 Love love love the cable knit stamp set. It has a simple yet timeless look! Gorgeous again! Love these gorgeous examples from the design team. Those sweater dies are so cute! What a talented design team! Great projects today! I’m pretty excited for this release. Just sayin’…. Wonderful projects, so warm and cozy! Another great release! Knit bits and Purlsd of Wisdom are so clever and offer so many pretty opportunities to create great cards and tags. How can I decide what to not get from all the wonderful stamps and dies this release! Fantastic, kudos to all for the inspiring ideas. Knit Bits reminds me of my Grandma: a fantastic crocheter and the most amazing women I ever knew. Lots more fun to sew with stamps then to actually have to follow a pattern and actually sew. Great sets. Wow! Amazing projects today! Melissa’s sweater card is just too sweet! This is an awfully cute release. Great cards the knitting is great. This will be a very exciting release this month can’t wait. I love the Knit Bits and Purls of Wisdom. Thanks for the DT for great inspiration as always. I don’t even knit but I need this set! Such cute cute cute ideas!! Great projects by the design team!! So excited to use the knitting stamps on my holiday gifts!!! Another great release. Off to see what the DT have created. Thanks. i didn’t think this release would be for me. (When am I going to learn!) I adore the cable knit stamps and the sweater shape up die is terrific! Well, PTI, you’ve done it again. Bravo! Love all the different cards from everyone today. Beautiful new stamp sets and dies for knitters! Really cute sentiments too. I love all these great knitting designs – they are all just wonderful. Cheers. Oh, that “tangled” sentiment is just so true!!! Great inspirations, ladies! I love the knitting stamps. The sweater die is cute, too. This release is utterly amazing. Love them all and want them all–just cannot afford to do it. I guess I will have to only pick some. Beautiful projects made with these new goodies. Everything is tempting! That sweater die is such a great idea! So creative! Fantastic projects again today!! I love the theme this month and the projects are amazing! Love all the new products, but I especially of the Hanging By A Thread yummies! Love all the pretty inspiration from the design team! The shape up sweater die is so cute! Loved today’s projects. The Shape Up Series Sweater is so absolutely innovative I am dumbfounded .. Paired with the Kint Bits stamp set makes for one beautiful card! Way to go PTI! I’m a knitter so I absolutely love all the knitting sets. The sweater die is just adorable! These sets have such a vintage feel-lovely. I really love your large cable stitch stamp. I’m loving all of the new sets and ideas! Oh my I am so loving these!! The sweater is so awesome!! Not much longer to wait for this wonderful release will be ready to go. Can’t wait! Beautiful samples by everyone. Can’t wait to see the entire stamp sets. I hope you are stocked up on those sweater dies! It’s amazing! I don’t even knit and think the set is great! I like the card with the sentiment about life getting tangeled. It would be so nice to send to a friend going through a hard time. So stinkin’ cute! I don’t knit, but these are beyond wonderful! Would love to add them to my collection. I learned to knit in college, and love the idea of translating that hobby on to paper – that sweater is so darling – not sure I could knit one that well! ……..can’t wait to see all the sentimens in the Purlz of Wisdom stamp set….love the one used in the second card! Great projects today! All of these ideas are so creative! I love Ashley’s card with the little sock! Thanks! 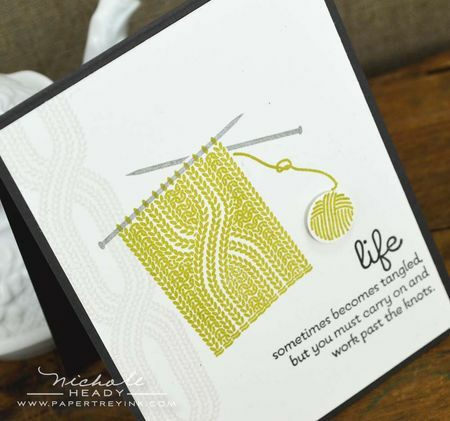 Wow, the sweater die is amazing and Melissa use of it is just adorable! I love the sentiments that work perfectly with these stamps. Oh my goodness these are adorable! I didn’t think that I would be more excited today after yesterdays samples. But I just about died when I saw the sweater. I showed the samples to my mother and she is already placing orders for what she wants made. I think this is my favorite release yet. Just wish the pocketbook was a little fatter! Love, love, love the sweater die. I didn’t think I would like the knitting set but I loved all the DT ideas/cards. Really cute projects. I’ve never gotten into knitting (thankfully, cuz I don’t need more projects!) but I have several knitting friends. These are so unique. Another great month – this is such a fun release. Thanks for sharing all your great ideas and new sets. Can’t wait to order. love the Knit Bits stamps, and the sweater die set is pretty darn cute 🙂 Thanks to my friend Stephanie for showing me the link! ADORABLE! Love the sweater dies and the sentiments that go along with this theme! The Shape Up Series: Sweater dies looks so cute, look forward to seeing more of it. Wonderful sample projects – so many possibilities! It’s like you read my mind. Knitting is my other hobby. Love the projects. I LOVE the knitting-themed products!!! What a fabulous idea – I haven’t seen anything like this! Absolutely gorgeous projects, too! Another great release with fabulous inspiration. Love the knitting theme. What a cute idea! Thanks for the great samples. Great details on the stamp and die sets! Melissa’s paper sweater looks real!! What really cool projects, and products too! Perfect for a cold winter. I love all the ideas and can’t wait to see all the product. These sets would certainly make anything handmade into something really special! This month’s products are incredible. I think this knitting set is the best of all. Love, love all the projects. Excited for release day. Just lovely! Group post days are so incredibly full of inspiration and wonderful ideas! Thanks for a chance to win. So cute! Love the projects! The design team did an amazing job again showing off different ways to use the stamps. Your cards are beautiful especially the socks card. Great projects, as always! I love the knitting sets. The design team has created some amazing projects. The knitting is so creative. Great samples! Amazing projects by the DT as always..truly inspiring! What a clever die idea with the sweater! Amazing. I can’t wait to see the sentiments in Purls of Wisdom because I love the one you used today! Very exciting and innovative products this release!! Christmas may just have to come a month early for this girl!! So much inspiration today! You ladies always amaze me. I love the stamps, the color schemes and just about everything! These posts are my favorite time of the month – I look forward to seeing your creativity each month! How do you think of such fun dies. Thank you for sharing today! LOVE!! I just pulled out some yarn and a pattern intending to start a little purse project now that the weather has turned cooler. The concept of having stamps to make my very own custom care tags is amazing, and I am SO excited to have realistic stamps to make matching paper craft items now. Great execution as always! I only crochet, so I’m a bit jealous of all the knitting love today. =P All of the the projects are so beautiful! I’m so in love with the sweater die and very excited to see the full reveal of Purls of Wisdom. Love the sweater die! Very nice samples! PTI outdoes itself once again! I just love the sweater die and textures. So many lovely choices! and great sentiments to go with it. Oh, I musy have this set! I knit and I know I would use it all the time. Love everything about the sentiments in Purls of Wisdom, even the name of the set. The sweater is so cute! Love all the new cards. 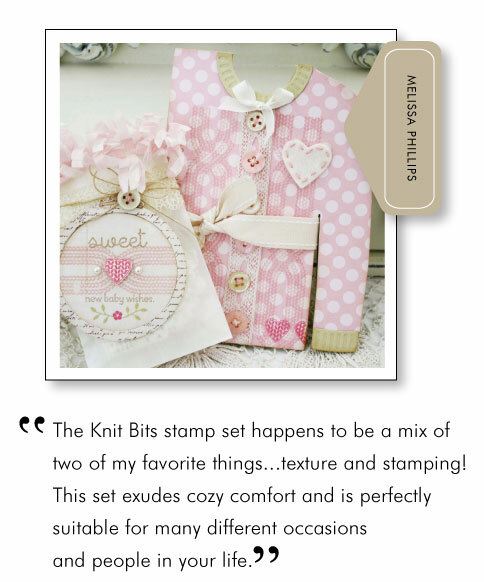 Awww…….how CUTE is that pink sweater with the adorable buttons that Melissa Phillips created?! Love it! Oh, that shape up die is too cute for words! A briliant group of ideas! I love those socks! And the care labels will come in so handy! This set is amazing! I know a papercrafter/knitter who would absolutely LOVE to have this set. I can’t wait until the release tomorrow. I really like the circle plate die. What a great release! I love everything I’ve seen. All the DT projects are gorgeous. I love stamping, sewing, and knitting. Love the projects shown today! A very cute collection, Nichole! Love the unique products this release. All I can say is WOW! I absolutely love the sweater, what a great idea. I can see using that die again and again! I am loving all the knitting details this month! And the design teams samples simply are icing on the cake! Oh I love the projests today. Especially the sweater card. Makes me want to start knitting but wait I prefer making cards. Tons of adorable projects; love Jessica’s “tie the knot” card! Thanks for sharing all the ideas today. Some lucky person will be happy if they win. These cards are too cute. You girls think of everything. Keep up the good work. Love all of these!! You and the team have such great projects today!! Can’t wait for the total release!! You have combined three of my favorite hobbies in such an incredible way! I’m already planning the gifts to give my knitting/x-stitch friends and darling cards that announce I’m a fiber AND stamp artist. Thank you so much for not only the supplies but also the amazing ideas. You never disappoint and this month is no exception. Adorable projects today! Thank you for the inspiration! I’m not a knitter, but I can still appreciate how special today’s offerings are. And the loop border – Betsy is so clever! The sweater card is super cute! Once again the design team has knocked it out of the ballpark with these new sets. Love the sweater die! So unique! Great samples today by everyone! Adorable cards ladies! Loving the Shape Up Series: Sweater die collection! Thanks for the chance to win! What creative cards! I am amazed each day of the sneak peaks and reveals with your beautiful cards and projects. I knit, so all these projects were so fun to look at. YAY YAY for care labels too! I love this set…the sweater die is awesome…and the knit bit stamp set works great with it and alone….I can’t wait to get my hands on them. It is such a warm and cozy set for this time of year. Great job ladies on the designs you came up with…I love it! Darling projects and new product! Too busy to knit…have to make cards now! I just love that the team took different approaches with this and they all look great. These are awesome. They will definitely be on the list to purchase! Cute projects…my mom is a knitter. I can see using these stamps in cards or tags for her. What an amazing month you have had for us. I absolutely love how everything just fits together and coordinates….truly love it all. I had abandoned my knitting for my true love of paper crafts, but had recently been wanting the feel of the yarn and needles in my hands after a long evening of stamping. I thought of all the friends that used to attend my weekly knitting group, and how they’ve been hinting at a reunion. I was daydreaming about how to style the event and send them home with stamped tags to accompany their hand knitted gifts during the Holidays. . Enter Knit Bits and Pearls of Wisdom;vthe timing couldn’t be more perfect! Thank you for your effort to find what it is we really want for Christmas as Stampers/crafters. Stamps about craft themes. Perfect! What a fabulous and beautiful collection you have for this release!!! I want almost everything!! Fabulous project. Love all the witty sentiments. Love what the DT came up with! So much creativity! I love the homespun feel of all of theses cards, and the entire release. Perfect for homemade gifts crafted with love and care. I love everything! Oh, stitch heaven!! I LOVE these new stamps and dies and can’t wait to get my hands busy! I don’t even wear sweaters or knit much and I LOVE this release! That sweater die…..amazing! What adorable images and projects. The sweater is too sweet. Must haves for the knitter! I love the card you created with the cute little stockings, for your friend. Thank you so much Nichole for al the awesome products you all come up with each month as well as all the inspiration! Love your products. Love the knitting stamps, especially the sentiments! My boyfriend’s mom has helped me with many knitting projects so it would be fun to make her a notecard set! What fun projects–you make me inspired to get out my knitting . . . But seriously, I love to put coordinating tags, etc. on my handmade projects! Can’t wait for the November release! This whole concept is amazing! Just love the coziness of all the knitting and the sweaters! Love it all! Cute projects with the knitting theme! That sweater die is amazing, truly! Love it! So many wonderful items this month, as to be expected! How about a Black Friday sale this year Nicole? I am a knitter and a stamper so I just love this set! I don’t know how to knit, but these stamps and cards are making me want to learn how! Love your vintage sock card! So beautiful! I love, love the socks and the sweet how-to-care labels. I know lots of knitting friends who would love to have the freedom to put a hand-stamped label like this into their beautiful creations. Everything here makes me want to cozy up with a warm and fuzzy project. I have always wanted to learn to knit. These products are so cute and versatile that I am tempted to go learn so I can justify buying these products. I have just forwarded links to this post as well as last month’s Striped Sweater stamp set to a local papercrafting friend who also knits. Thanks for designing such amazing products! Oh wow! Just when I thought I was safe….wait for Christmas or NOT to wait for Christmas! That IS the question! Lovely kings PTI! The sweater die and stamps are amazing! The stitched line is right up my alley. This entire release is on my wish list! I applaud the design time!!! Seeing the projects today, I’m reminded of how much enjoyment I got from knitting for friends & family. I may take it up again and thanks for the papercraft inspiration too! It’s amazing what ideas PTI comes up with! The sweater die is really different. Oh my! Everything in this new knit bits collection is so warm and endearing. I can already think of several people to make cards for out of this collection! Such amazing projects – love all the knitting & sewing themes this release! WOW!!! Love the knits! The sweater is perfect for so many occasions. Cant wait to give it a try. COZY good!!! WOW! The Papertrey Ink Team never ceases to amaze me with your creativity and absolutely fabulous ideas! Love all you do from designing the actual products to your incredibly inspiring creations. Always a highlight of my day to check in with everyone and see their amazing work. Thank you so much for sharing it with all of us! 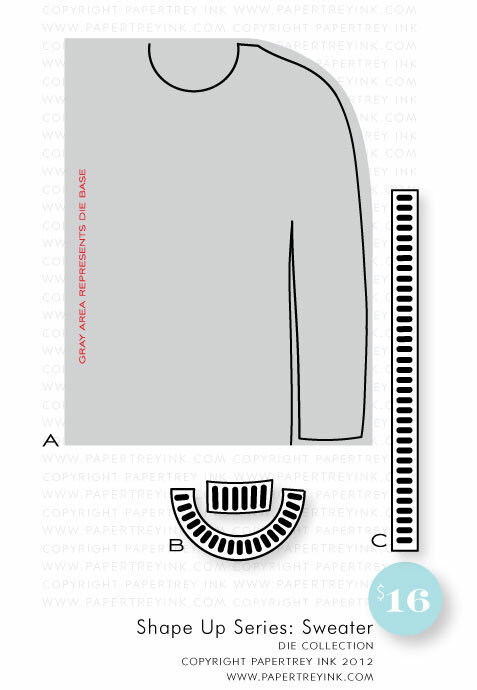 The sweater shape up cards are unique and so much fun…I just love them! Thank you for the inspiration! The sweater die is great! Thanks for the chance to win! My oh My! I am in awe! Cannot get over the design teams creativity and inspiration! It just amazes me! Looking forward to the full reveal tomorrow. I know one design team member who is going to love working with this knitting stamps set!!!! Dawn I am sure you are swooning as I am……cables! !Just love it and what fun to look forward to. This is so perfect!! I love this set. I am learning to crochet with an online course. This set is perfect for my new addiction 😉 Thanks for the chance to win. Hugs! What a fun release this is! I love all the hand-stitched items. I feel like i have to pick out something special from today’s post for this comment and today that would be the Shape Up Sweater card front! All alone it would be a great idea, but the trim pieces really make it so stunning. Thanks for all the contests that are part of the PTI releases. It makes it extra fun to follow along. I love group posts day! The DT our so inspiring. Great products per usual. love it all! great stuff! What a fun collection. Really love the gift tags. This is my dream stamp set, I’m in love! Not my style but a cute idea! I do like the projects! What wonderful sets!! Projects are great too!! I LOVE knitting, so this series is totally perfect! Truly homespun, or should I say knitted 😉 heartwarming projects. Love the cozy feel of it all and all so very unique! Wow and I thought that Stitched Sentiments reminded me of my Gramma. She would have loved this set in honor of knitting! These stamps bring back wonderful memories!!!! Another favorite craft – knitting! The sets are just too cute! The care instructions from Handle With Care are a perfect gift for anyone who sews, quilts, knits…these will be on my shopping list! since i’m a knitter, crocheter and cross-stitcher all of the hand stitched themed products appeal to me! such unique ideas and projects! I can’t get over what a great release this is going to be! LOVE that new Shape Up Series die! How fun! Oh my gosh, what great samples from the DT!! Papertrey is number 1 in coming up with new stamp set ideas. Can’t wait until the release! The tag cards and buttons set are super cute! Loved all the sample cards make with them. oh. what the design making.I think you are designer.